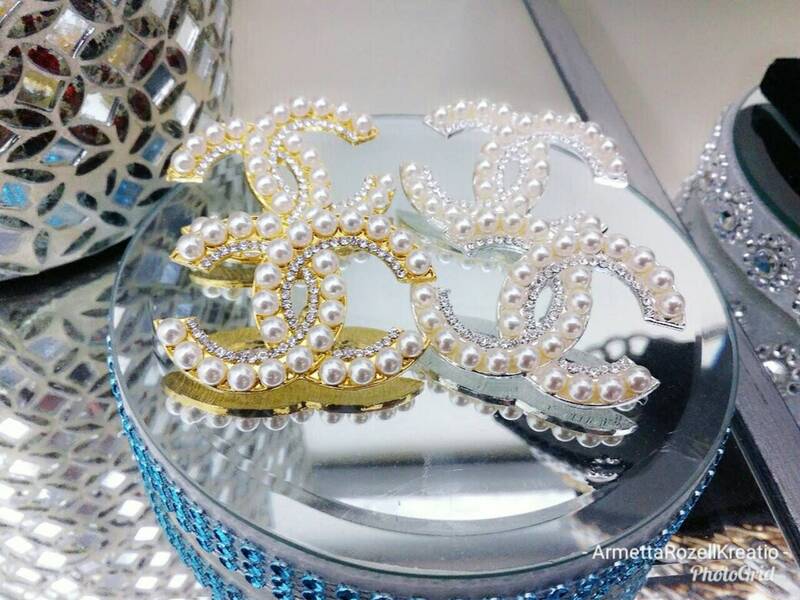 This is a handmade pierced studded earring made of simulated pearl beads and trendy alloy charms. Lead free. 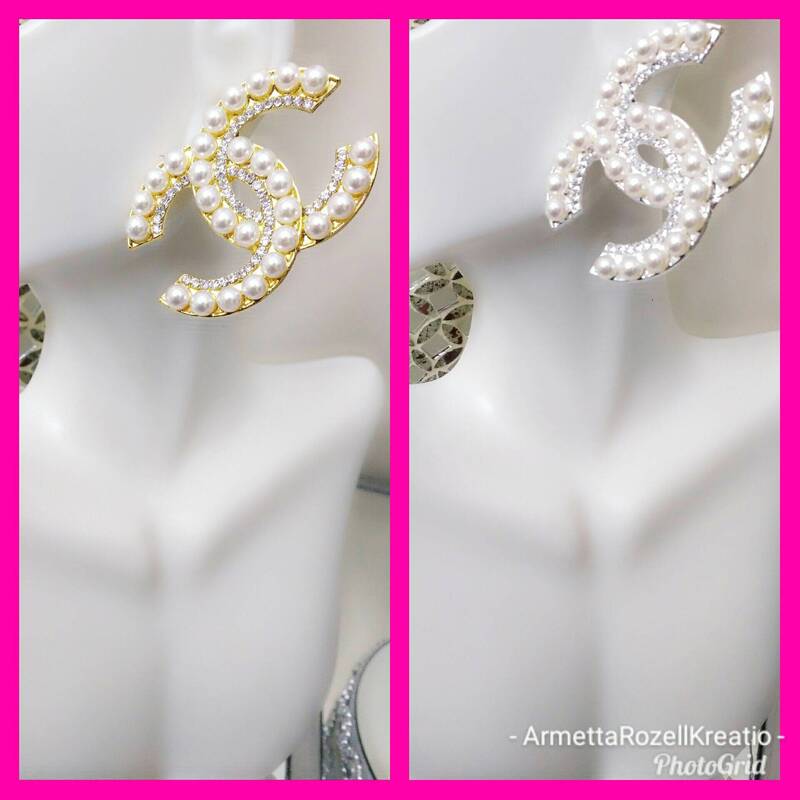 Custom orders are accepted upon request by contacting me at: shakiransampson [!at] hotmail.com Please allow 2-3 weeks for custom orders. Pair of ladies studded earrings in either silver or gold. This pair of earrings carry a little weight for the earlobe. DISCLAIMER: These are imitation goods and not to be affiliated with other companies. All designs are my creative ideas. Please be sure you understand that all items are handcrafted and there will not be any refunds UNLESS it's a mistake on my behalf. Some computers may give off a different lighting effect so please choose wisely.